The right-wing disinfotainment machine is making a big push to shame New York representative Alexandria Ocasio-Cortez for not dressing in rags as befits a person of modest means. 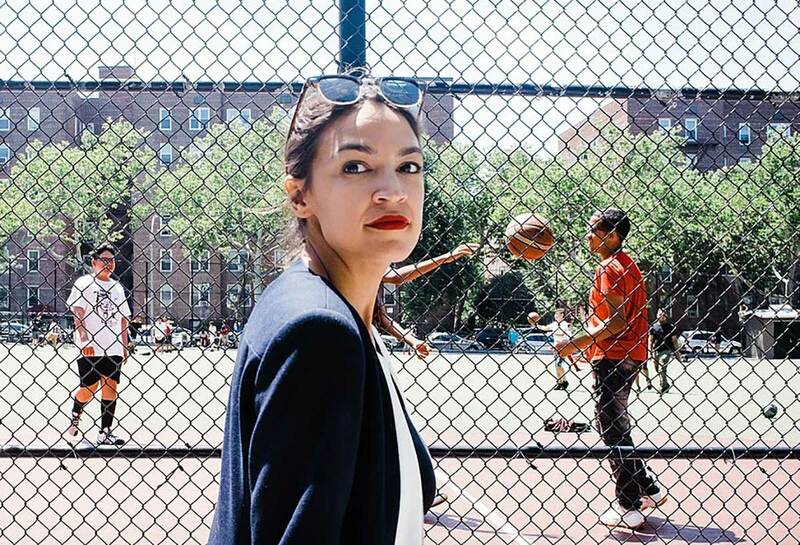 The purpose of the smear campaign is to take attention away from the issues Ocasio-Cortez is dedicated to: Medicare for everyone, ending the student debt catastrophe, justice reform, ending global warming. I’m reading Scott Adams’ new book, Win Bigly: Persuasion in a World Where Facts Don't Matter, and he goes into detail how Trump and his friends at Fox and Breitbart use the same trick all the time. “Master Persuaders,” he writes, "move your energy to the topics that help them, independent of facts and reason." Fortunately, Ocasio-Cortez's comebacks on Twitter are awesome, and seemed to have shut up some of the propagandists. It will be interesting to see how this turns out. The Intercept has published slides from Partnership for America’s Health Care Future -- a lobbying group representing the for-profit health-care sector -- detailing the organization's plan to kill Medicare for All. Eric Lundgren is the PC recycler who is going to jail for 18 months for having a Chinese factory duplicate the obsolete Windows restore CDs Microsoft lets you download for free and authorizes recyclers to distribute.